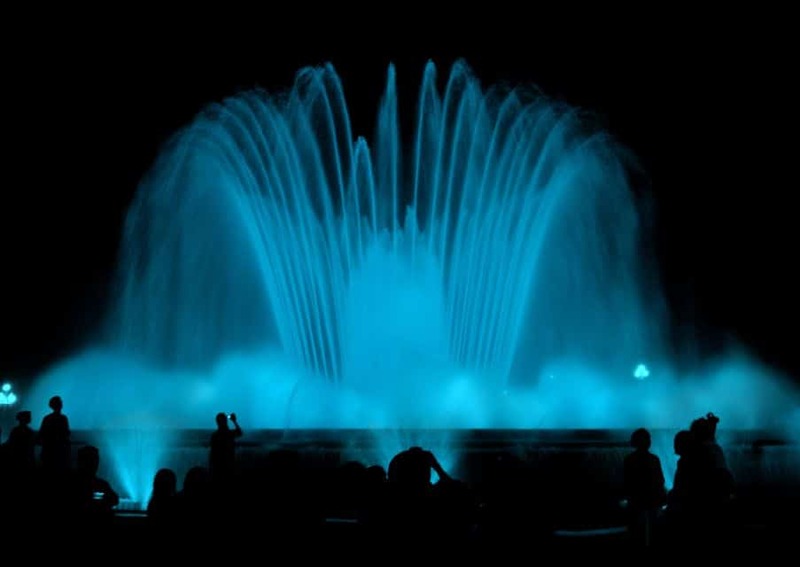 Spectacular show of light, music - and water! 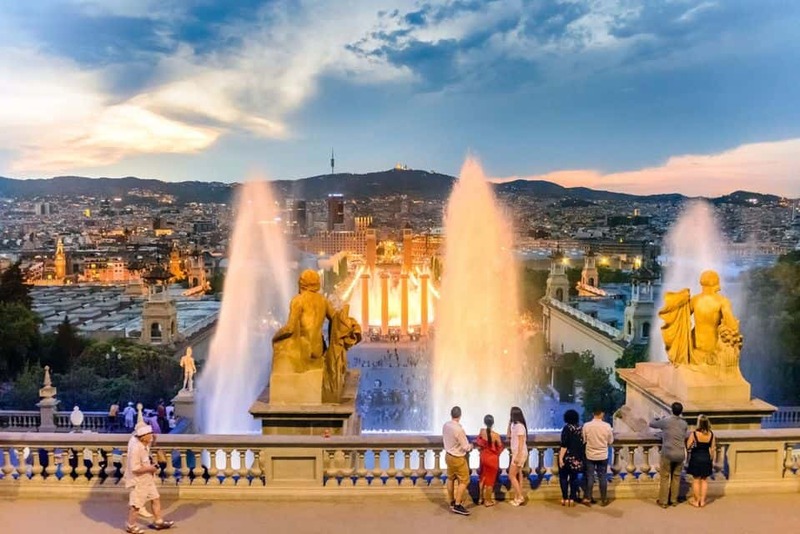 Designed for the 1929 Universal Exhibition by the engineer Carles Buigas, the Magic Fountain of Barcelona was restored in 1992 for the Olympic Games and has proved a popular attraction ever since. This huge fountain bubbles and bursts, spews and spouts cascades of water in a sensational show set to music and lit by every colour of the rainbow. 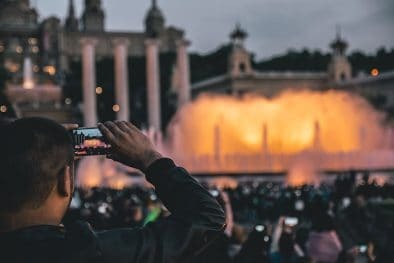 Thousands of people gather each night during summer to enjoy the spectacle, sitting on the many steps that lead up to the MNAC museum and watching the sunset from the vantage point of Montjuic mountain, under which the Magic Fountain sits. It’s not highbrow culture, but it is a lot of fun, and on a warm evening in particular the atmosphere is great. The operating hours of the fountain varies depending on the year, so consult the table below for more info. The Magic Fountain shows are completely free to attend. So no need for any tickets, just turn up. 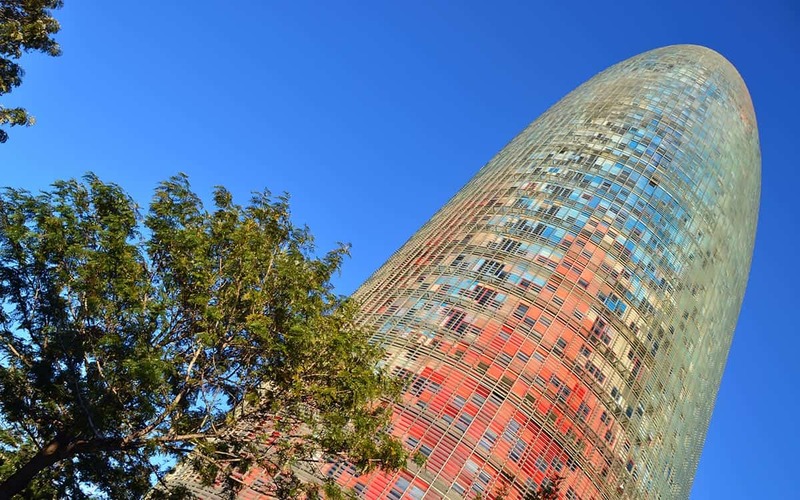 You can take the metro to Plaça Espanya station, which is on both the green and the red lines. 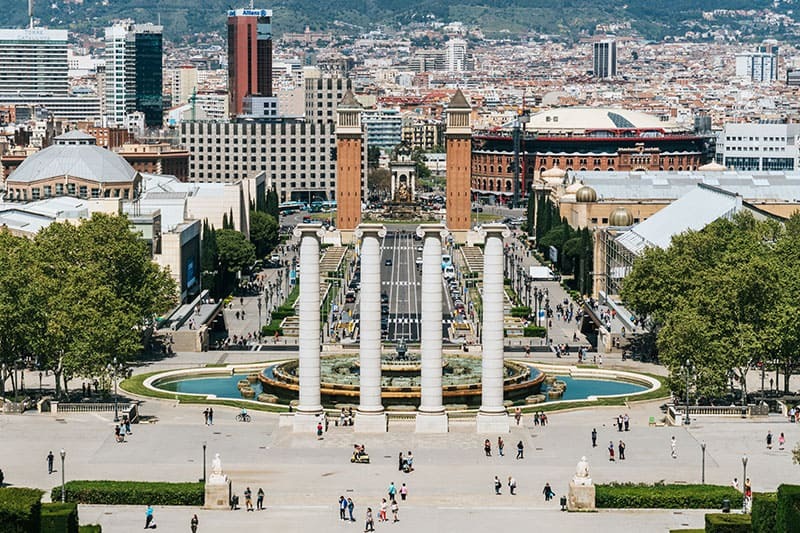 After that you will see two massive Venetian style towers, flanking a wide boulevard that leads up to the Palau Nacional on Montjuic (home of the MNAC museum). You will find the Magic Fountain at the foot of the hill. During the day the fountain is dormant, so you will need to time your visit for a show if you want to see it in action. 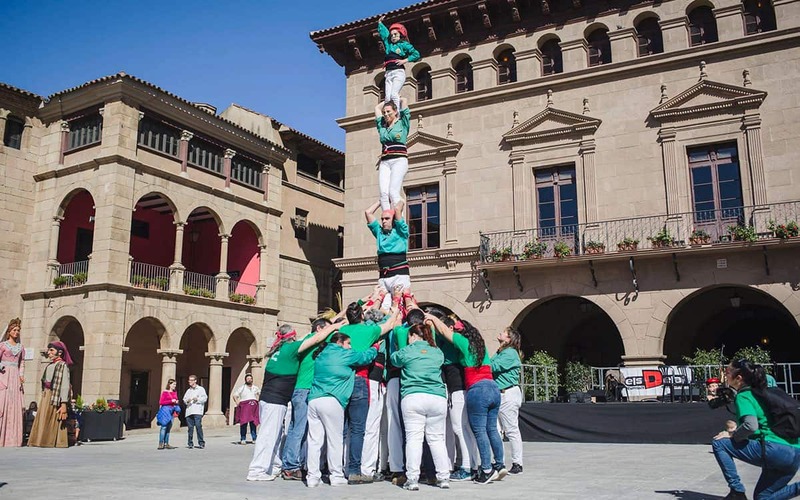 Yes you can go independently, but there are one or two cool tours that combine the experience with Montjuic and other attractions that are well worth considering. 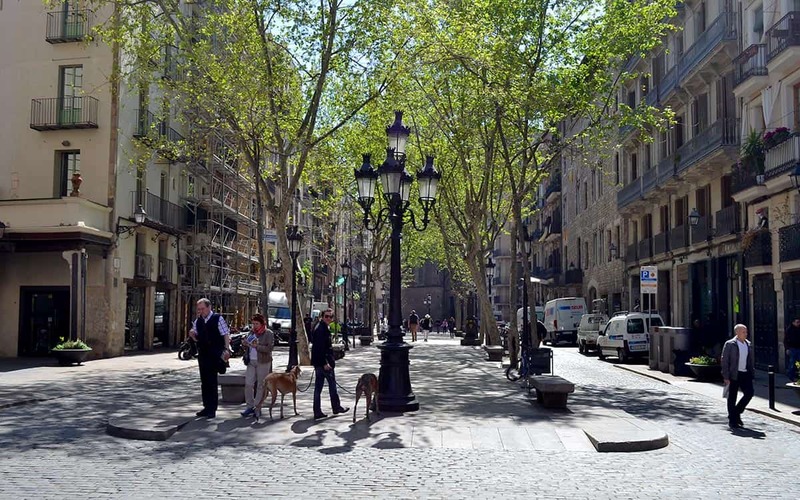 This experience begins in Passeig de Gràcia, one of Barcelona’s most famous streets and home to some of Gaudi’s finest works. 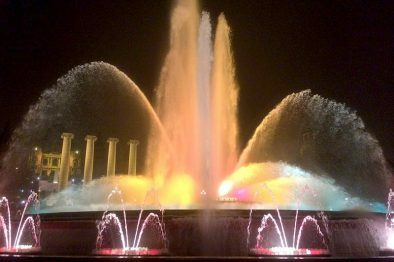 You will then take a night tour of the city, via an open top Mercedes minibus, taking in the Columbus Monument and the sights of Montjuic hill, before arriving for the Magic Fountain’s Night Show. After enjoying the lights and sounds of the fountain, you’ll head back to the Old Town, where you’ll finish the evening at a trendy rooftop bar, with a glass of delicious sangria. The cost is just €40 per person. Limited spaces, so book in advance via Get Your Guide. 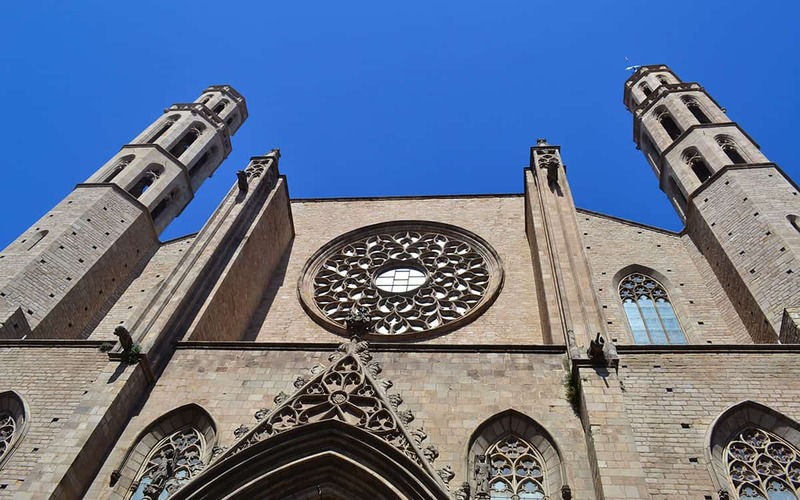 Take an evening bike tour of Barcelona and explore the grandeur of the Old Town, before heading to the leafy slopes of Montjuic, which are particularly beautiful around sunset. Naturally the tour is timed to arrive for the fountain show. 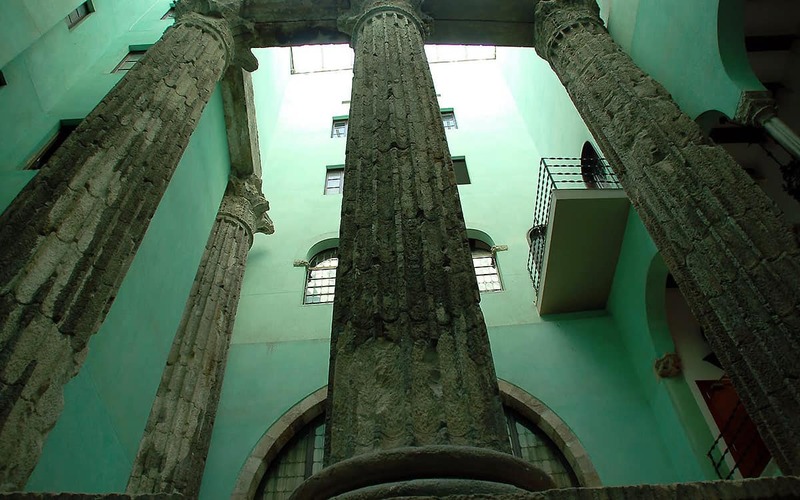 The price is €40 per person, and you can reserve via Get Your Guide. 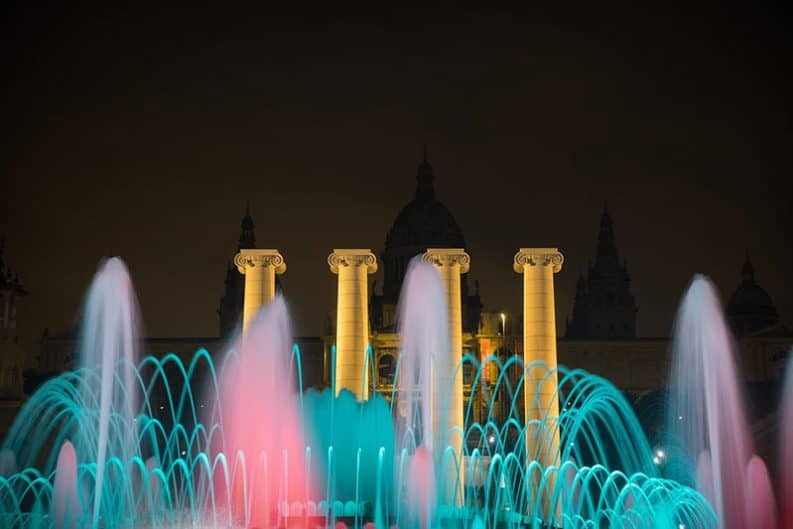 Keep reading for our article on romantic things to do in the city, or check out our full list of suggestions of what to do in Barcelona by night. 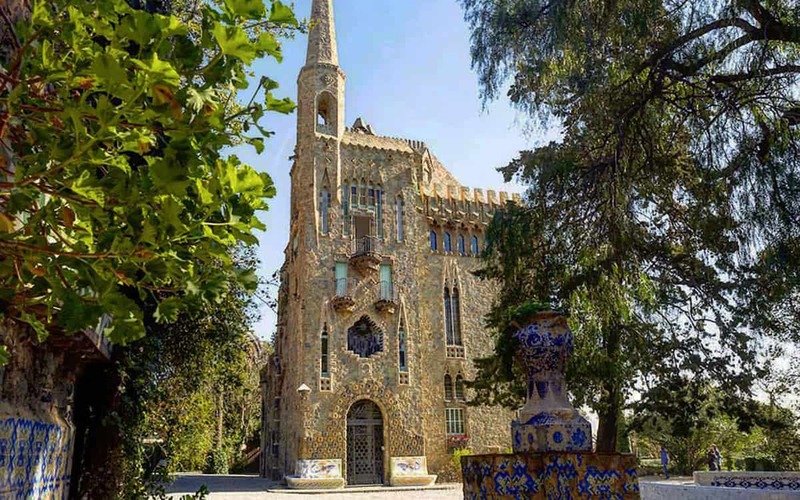 From the opera and night tours of Gaudi’s Casa Mila, to moonlit paddling and champagne boat parties, we’ve got plenty of great ideas for you! Hi David, there are shows Thurs, Fri and Sat at 9pm and 9:30pm throughout April. Thanks.